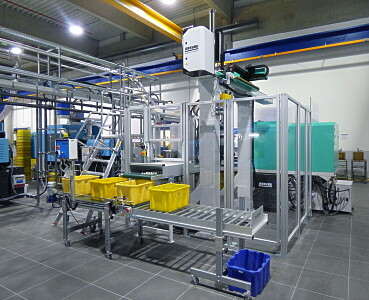 The 2-shot injection moulding technology expands the range of applications of connectors and opens the way to new, innovative solutions. STOCKO constantly strives to provide its customers with a high level of user-friendly solutions. This is why it is necessary for us to constantly adapt our connectors to the wide range of applications and requirements. We achieve this by, among other things, new product developments and ongoing improvements in manufacturing technologies. 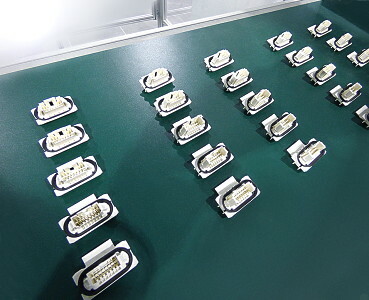 One of the requirements that have come to the fore is that of sealed connectors. Protecting device housings from the penetration of moisture via the power supply is just as important as sealing from the insulating foam, such as in cooling units. This offers a solution where various sealing problems are eliminated by a special connector housing made of two plastic materials. 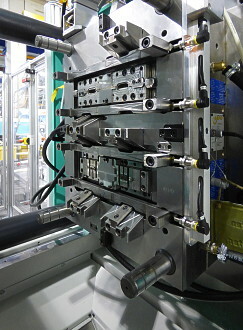 For this reason, STOCKO has included so-called 2-component injection moulding in its production programme. By combining a hard and a soft component, the electrical and mechanical requirements of a connector and the requirements for different sealing functions, such as sealing the mounting opening of a housing or sealing the wire feed-in, can be optimally met. 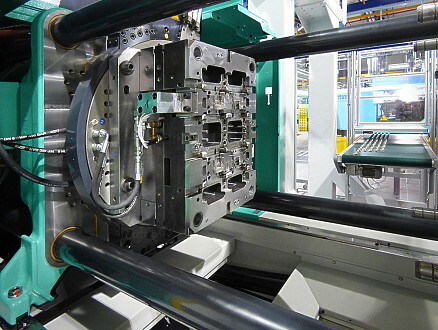 By using 2-shot injection moulding technology for connectors, STOCKO can offer complex components in which different functions can be integrated. In combination with the innovative and high-quality STOCKO connector technology, this opens up new possibilities for rationalization as well as new technological solutions in the connector sector. 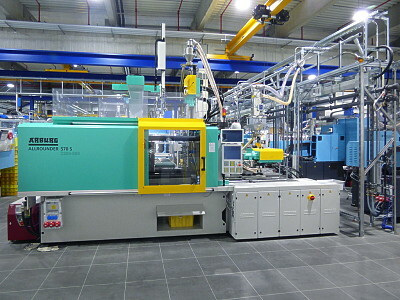 The 2-shot injection moulding machine (Fig. 1), the 2-shot tool (Fig. 4) and a handling system (Fig. 2 and 3) form a production cell. To ensure high quality, the manufactured plug housings are removed from the tool with a removal gripper and placed on a conveyor belt. Fig. 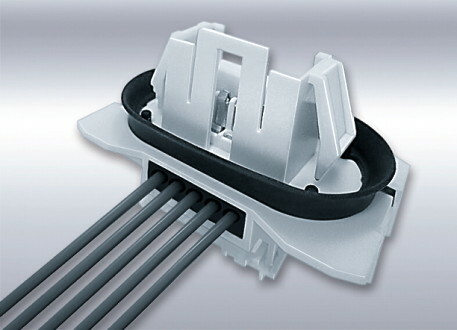 5: Example of the use of 2-shot injection moulding technology: connector function (white) and seal function (black) are integrated into a single housing.